“I am a guitarist, Harmonica player, composer, arranger, and music teacher. Music is my life, and I am trying to improve my skills every single day and never give up. 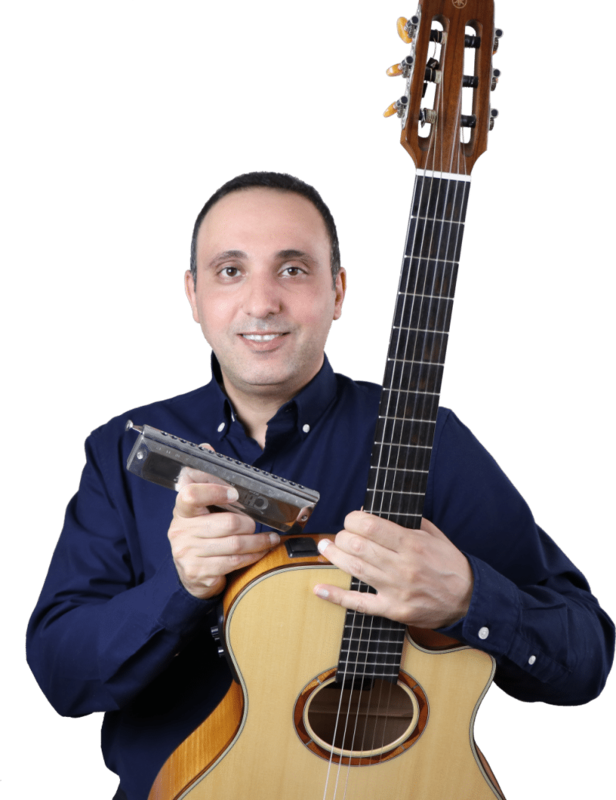 Iman started playing rock and blues guitar when he was 17, then he got his music diploma in Guitar and passed Jazz composition course with Berklee online. 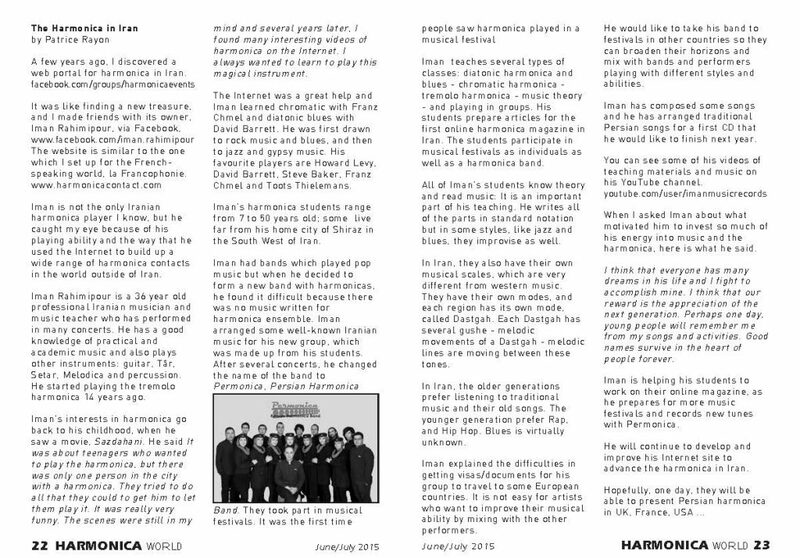 Also, Iman is accredited by bluesharmonica.com and David Barrett as a blues harmonica instructor. 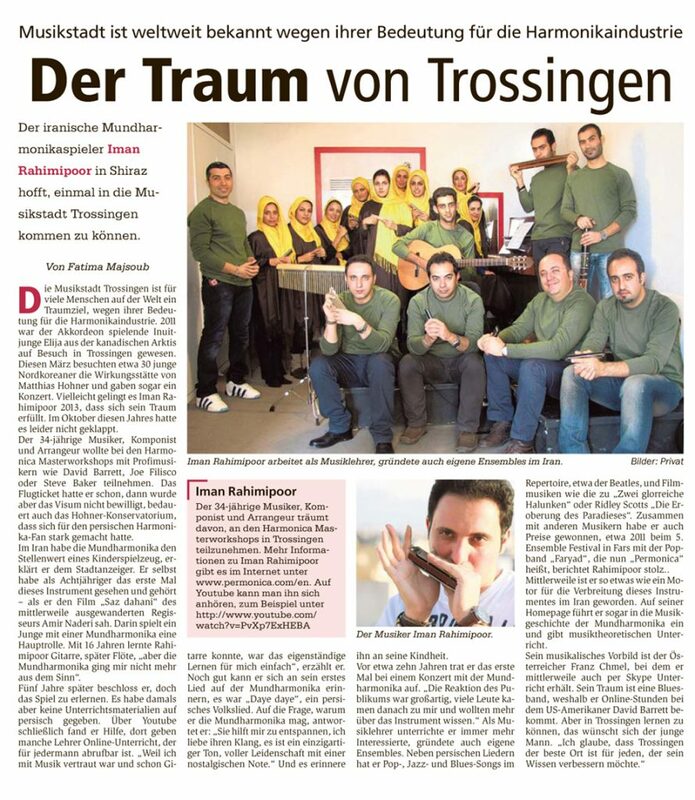 He founded Permonica Band – Persian Harmonica Band – in 2011, and has had many performances from that time. He is one of the pioneers in Iran’s harmonica. Iman moved to Canada in 2016 and started working as a music instructor, composer, arranger and bandleader. He has performed several times with Permonica band and participated in two festivals. Iranian musician Iman Rahimipour was born in 1979. He graduated in civil engineering and start of artistic life and music in 1996. At the first he played his music with a guitar and the next year started learning the blues, after that Iman was involved with Rock and Heavy Metal music. From 2000, he started learning harmonica from 2012, succeeded to pass some courses with Franz Chmel and David Barrett and also Howard Levy. Since 2011 he plays on a Gypsy Jazz style band. Il y a quelques années, en parcourant Internet, pour enrichir mon site harmonicacontact avec de nouveaux liens, j’ai trouvé un portail de l’harmonica en Iran.L’idée d’imaginer l’harmonica en Iran, les portes que cela pouvait ouvrir à l’harmonica, peut être à de nouveaux styles de musique: c’était comme un nouveau trésor. Alors quand j’ai découvert la pageharmonicaevents sur Facebook, j’ai fait le lien avec Iman Rahimipour. 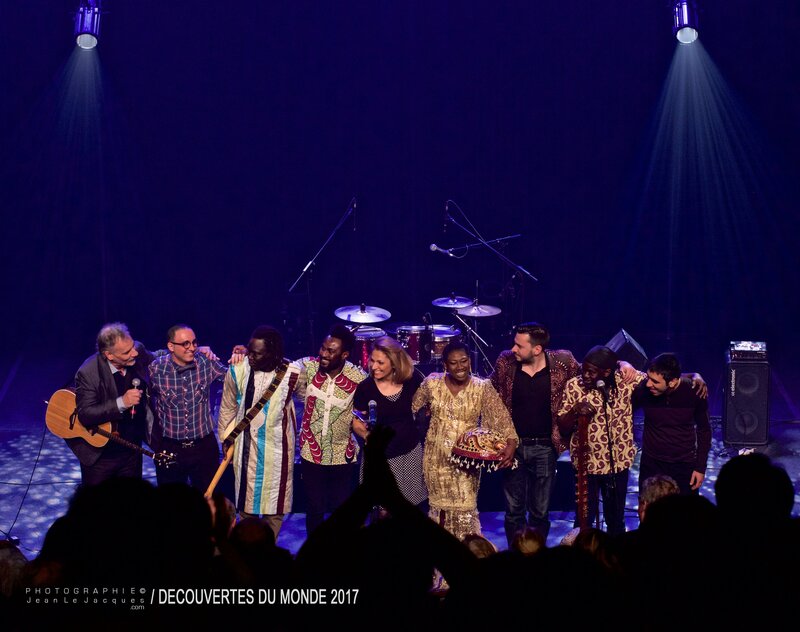 L’initiative de Iman était dans le même esprit que l’agenda d’harmonica dont j’ai lancé l’idée pour la Francophonie en Europe, et que je souhaiterai développer pour le monde entier. Copyright 2012 - 2019 imanrahimipour.com | All Rights Reserved | Powered by PIC2MOTION Inc.